Buckingham Coatings is dedicated to providing staircase spraying services of the highest quality, resulting in stunning aesthetics and durable finishes. 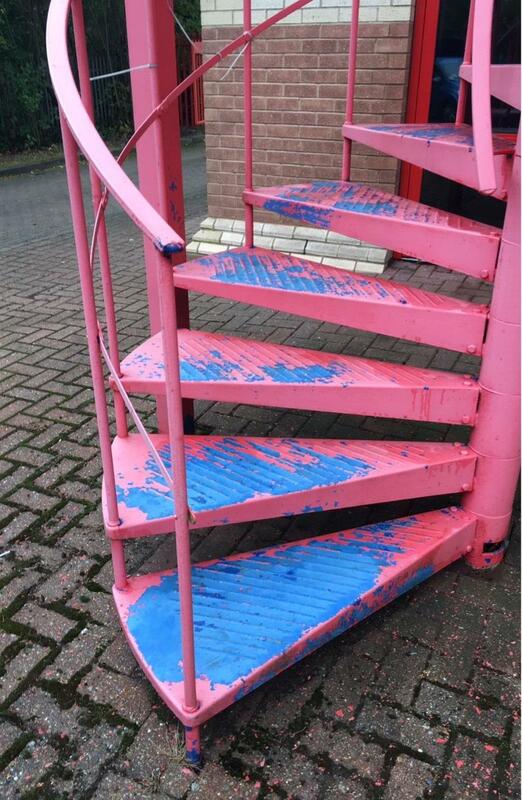 Our staircase paint spraying services cover a spectrum ranging from projects where a metal staircase requires a few simple tweaks and alterations in order to be restored, to a unified appearance, right through to a complete staircase re-coating. All of our staircase spraying services are available in competitively priced packages. Our staircase spraying services are able to be completed in your desired style. We make use of a diverse range of finishes, materials and coatings, suitable for use with a wide range of staircases. No compromise on the colour of your coating is necessary. We have a dedicated colour-matching service, which enables our colour technicians to create an exact match of your existing or desired coating. Once complete, metal staircases which have been sprayed accomplish stunning aesthetics. In the case of a re-spray the staircase is completely rejuvenated, appearing almost new and equipped with an anti-corrosion coating to provide lasting protection for years to come. 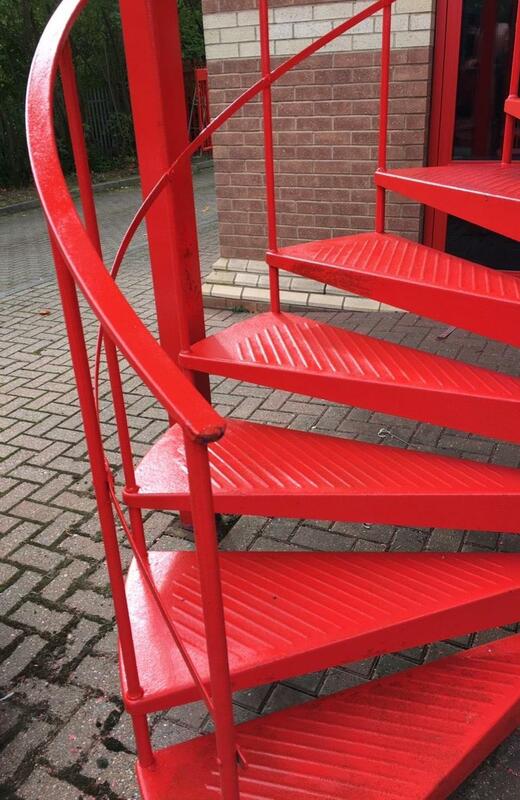 Our re-colouring projects, on the other hand, will completely change the appearance of your metal staircase, bringing it into line with the rest of your interior or exterior aesthetics in order to create a unified brand image throughout your premises. Our experienced team is able to perform staircase spraying on-site and in-situ. This process offers our customers a number of core advantages. Chief amongst these is the fact that it means that the staircase will not have to be removed or altered, resulting in minimal disruption to your business operations. A second advantage of this approach is that it means we are able to fulfil staircase spraying projects on your behalf outside of your business operation hours, often overnight or at weekends, enabling your business to function as usual within your premises. The highly trained operatives that we employ at Buckingham Coatings are able to complete work on a staircase spraying project when other trades are operating on the premises. We have a lot of experience working in this way in unison with other trades, ensuring that the project is finished to the highest quality and on time. For further information about our dedicated staircase spraying service, or to arrange a no obligation site survey of your premises, call us on: 01908 765 009.